As the the month of April comes to a close, we are finally seeing brighter weather, and Spring flowers. A very cold and snowy winter is now well behind us, and it's time to enjoy the warm weather ahead! 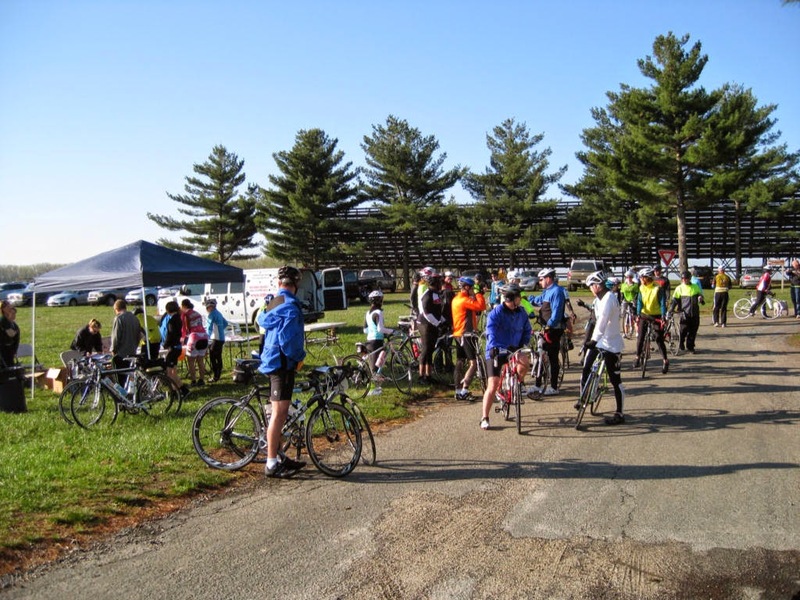 April also brings Earth Week, and the start of many charity bike rides that happen in our area. We were fortunate enough to be able to participate in two events this past weekend. 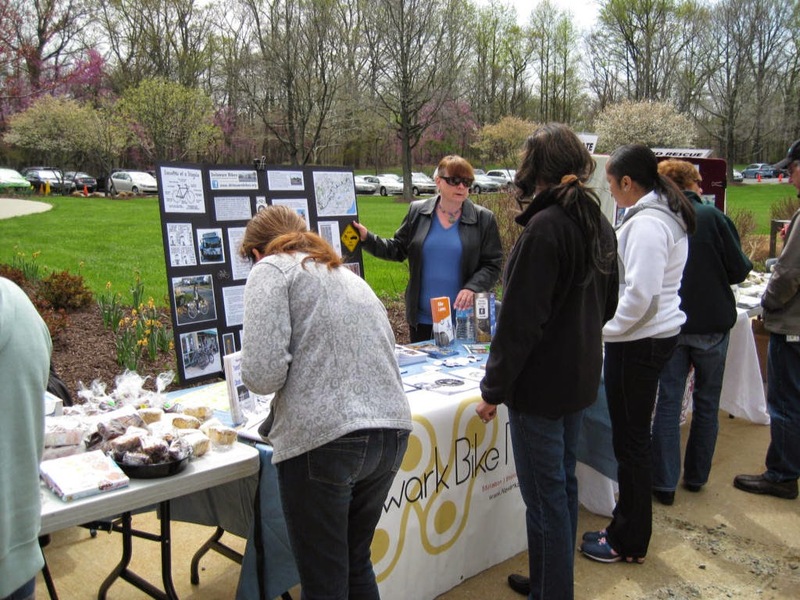 On Friday, Delaware Bikes partnered with the Newark Bike Project to table at Siemens Healthcare Diagnostic's Earth Day Event. Employees took advantage of the beautiful, if windy, day to come out and visit the many vendors present. They were excited to learn that such a dynamic, volunteer run community bike shop exists in our area! 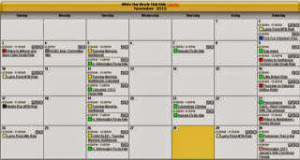 Many signed up for NBP's e-mail newsletter, and were enthusiastic about the services and community programs that NBP offers. 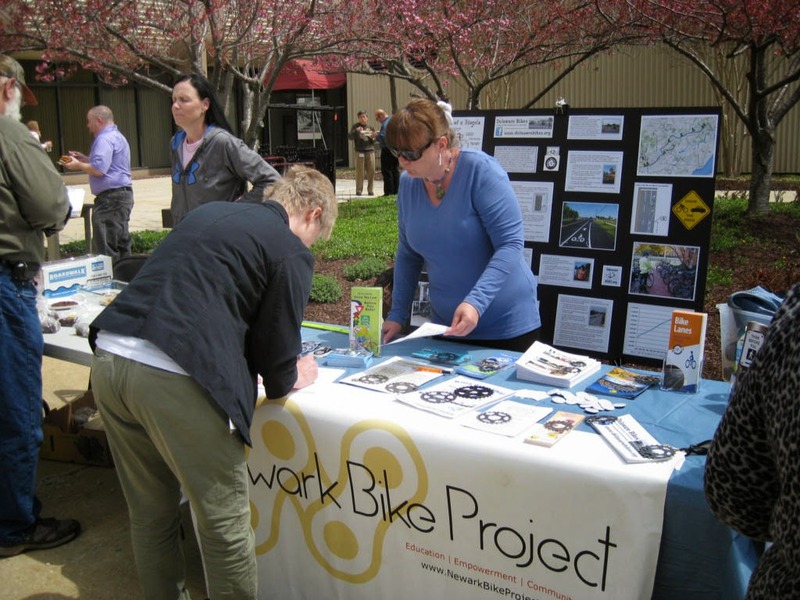 Employees were interested in exploring the active transportation options available to get to work and to do their errands, as well as having fun by recreational riding. Delaware Bikes also heard the concerns of the cyclists who remain hesitant about riding on the arterial roads that surround their homes, and they were reassured to hear that we actively advocate for safer road conditions for them. As usual, our table drew lots of interest! On Saturday, Cycle For Cecil 2014 took place. This ride featured three distances - 15 miles, 50K (31 miles), or 100K (62 miles). 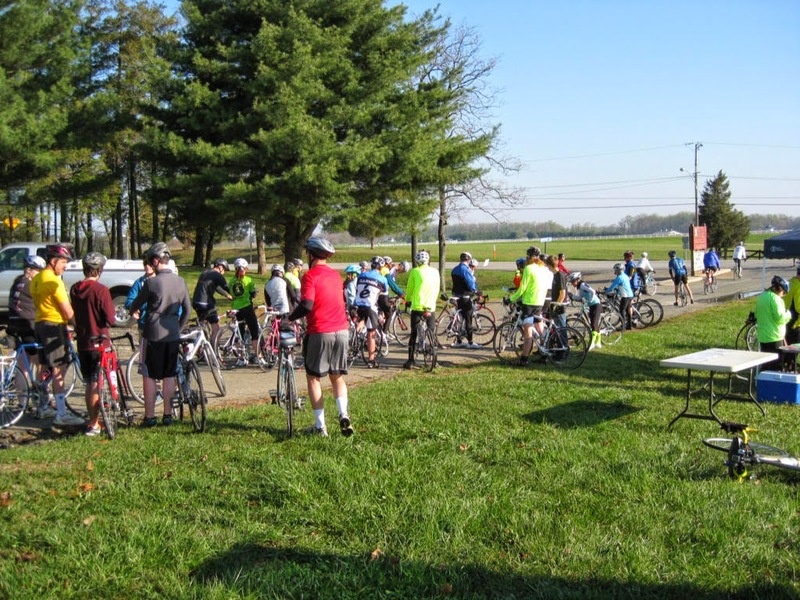 All routes featured rest stops that provided drinks, snacks, and restrooms. Upon completion of the ride, cyclists were rewarded with Kilby Cream Ice Cream and homemade goodies. Cycle for Cecil benefits the Cecil Land Trust, which works to preserve the open space and farmland that makes Cecil County so unique. The weather was perfect, and the organizers were very pleased with the turnout - 127 riders showed up to support this worthy cause! While Frank completed the 62 mile ride, I was very proud to ride the 15-mile route with friends, one of whom was doing her very first ride on her new bike! Great job, Ivette! This picture reflects the great turnout that the event had! 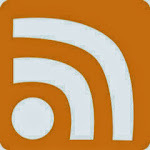 Finally, after the busy activities of Friday and Saturday, Sunday was a day for rest and enjoyment. We made a visit to our local garden center, Alexanders Lawn and Garden, to buy some plants. My dog, "Midnight" enjoyed riding in the trailer behind me, while Frank's trailer was loaded up with the many beautiful plants that will grow in his gardens this season. Our bikes generated lots of interest, people are always amazed at the way we use our bikes on everyday errands. Although most people think that we are absolutely nuts, we answer by saying that driving would not be nearly as enjoyable! On our bikes, we enjoyed the beautiful weather and the exercise, got to chat to several nice folks about our bikes, all the while experiencing the fun and independence of human powered transportation. Life doesn't get any better! 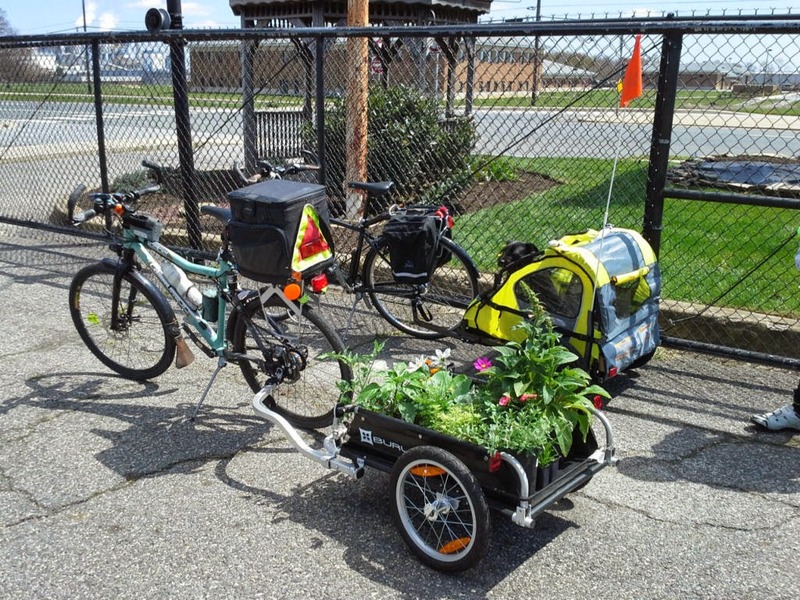 Our bikes loaded up at our local garden center - Plants loaded on one trailer, while Midnight peeks out out of his trailer.